Saying that life has been crazy busy would just be redundant, and yet I can’t find of a more honest way to begin. Between extra classes, Just for Kicks, and meetings, life has been as fast-paced as ever. I’ve especially enjoyed Just for Kicks, the soccer program for our kids. As exhausting as teaching them during school hours is, it is just as much as fun to hang out with them outside of school. And when I say hang out, I do mean that. Of course, they are still kids who look up to us, and obviously the teacher-student relationship permeates all our conversations, but there are certainly elements of fun and light-hearted teasing that cannot be present within a classroom. It’s interesting that sometimes when we step outside the classroom, outside the daily rigmaroles of everyday life – that’s when we realize just how much the kids have carved a place for themselves within you. We’ve been especially lucky as a few of my friends from Brown have taken on the responsibility for coaching the kids on weekends. And seeing their investment in the students in these short few weeks has made me realize it’s not me at all. Anyone can fall for these little devils. Recently, I read somewhere that even during their PT period, kids shouldn’t be allowed to just run around. Rather, we should teach them specific skills related to sports in certain units, so they gain and understanding of the correlation between hard-work and results, and they begin to develop an appreciation for the beauty of different sports. Sports are also a great way for children to learn teamwork and respect. It made me reflect upon my own education. I began to realize just how much I had taken for granted. That’s how life had been for us. We had units on volleyball, archery, track, racquet sports, etc. Our teachers coached us step-by-step on how to volley, how to serve, and allowed us to practice before playing games. Even during school hours, our education had never been limited to the classroom. I had theoretically understood all this, but found it rather difficult to try to plan for and implement formal skill training during PT when we take 40 kids outside at a time. This is especially difficult given my limited proficiency in most sports. For all these reasons, I was especially excited to start soccer practice with both our boys and girls. And students whom I so easily overlooked in the masses of the classroom became superstars in my eyes after I saw them on the field. One especially problematic child showed a remarkable ability to follow directions and leave behind his characteristic selfishness in favor of teamwork when he was on the field. There’s something magical about the rush of competition. I’ve known all my life I’m an incredibly competitive person – it’s a large part of what pushes me to keep doing my best all the time. And when our boys had their first soccer match, my nervousness was making me bounce from foot to foot. I hadn’t felt that kind of adrenaline since my own track meets in high school! I could see the competition pushing together children who wouldn’t otherwise be friends, helping each other, practicing their skills, and trying to boost each other’s morales. 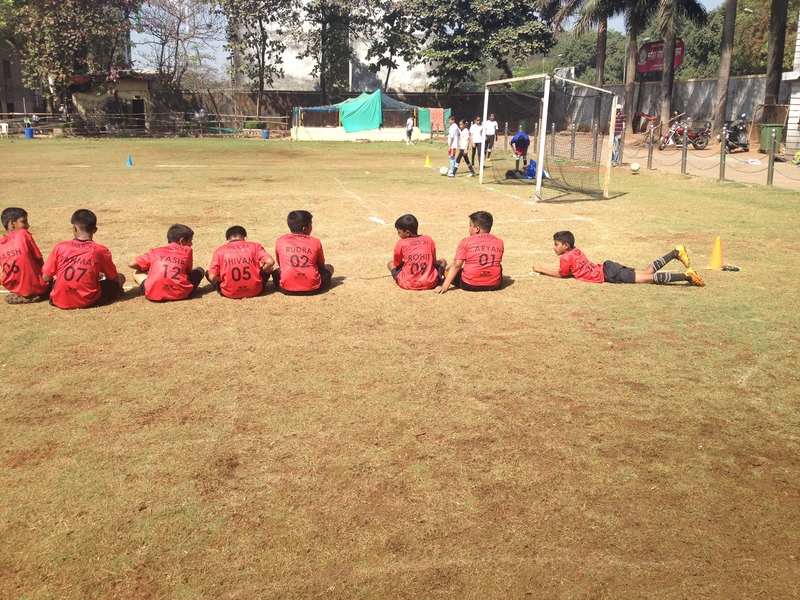 As a teacher, it is so fulfilling to see children who normally struggle within the classroom gain a whole new confident persona on the field. Especially for kids like these, who don’t get as many opportunities for external validation and whose self-esteem is often based simply upon classroom grades, an opportunity like this can be priceless in improving their self-worth. I know teaching within the confines of a school wall isn’t the only way to mold responsible citizens for our world. But seeing it in action lent the notion so much more credibility in my mind. I only hope we can continue to combine all types of learning for our kids in the upcoming years. Very well written. It shows the depths of your attachment and efforts for your kids. Very true …….some children find their self worth outside the confines of the classroom. Great work ! Keep it up.